If you’re above 40 then you might like to try a different approach to exercising your body. These exercises are specifically made for people above this age and the results they can provide are incredible. 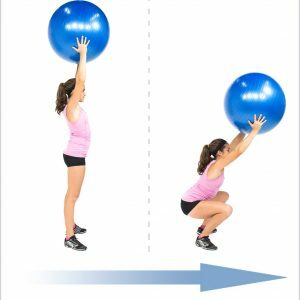 For this exercise, you will need a swiss ball. Take the swiss ball and hold it in the air above your head. Straighten your back and spread your feet. Now slowly push your backside down as you’re sitting on the chair. Hold on for a few seconds and then go back to the initial position. 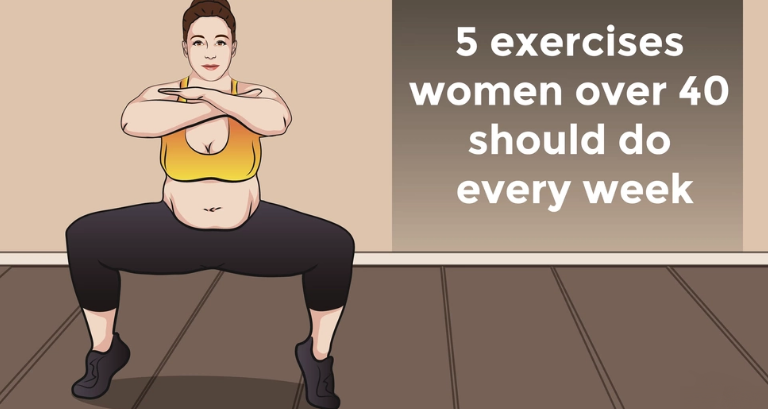 Do 10 squats, take a rest for a few seconds and then repeat the exercise one more time. Lay down on the ground with your feet on the Swiss ball. Lift your back and strengthen your body. Now push your body up as much as you can and come back to the initial position. Do this exercise for 15 times. Lie on a Swiss ball with your feet on the ground and hands at your sides. Then raise your upper body till it forms a straight line with the rest of your body. Hold the pose for few seconds and came back to the starting position. Repeat it 10 times. Just like a basic squat only this time you need to spread your feet every other jump. Repeat it 20 times. Start with your hands and feet together and your back straight. As you jump, spread the legs and lift your arms above your head. Do it several times.